Seattle-based fashion retailer Hointer’s NFC tags create an improved and seamless customer experience. Instead of relying on shop assistants, customers are now able to select garments they want to try simply by tapping NFC-enabled tags on the clothes. Once they have indicated their size, the selected items are automatically dropped into a chute in the changing room. The same can be done by scanning QR codes on hang tags attached to the garments. 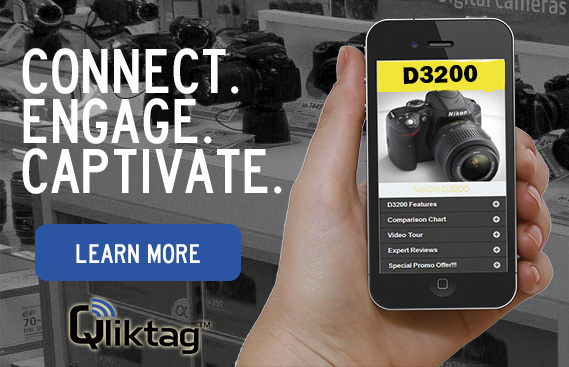 We think this is a fantastic way to use NFC technology by retailers and brands. We’ve written before about how QR codes can be used to re-invent the brand-customer relationship. NFC can be used in a lot of the same ways, including sharing brand history, taking orders and sharing product information. In fact, the whole customer experience can be made frictionless by allowing customers to use NFC to order products not immediately available, register product warranties and signing up for special preview sales and launch parties. We’re optimistic about the future of NFC, especially in business, considering the increasingly creative ways that it is being used. Previous PostDo You Know Your Customer?